Concerning preparations for an amphibious operation against England. Since Britain still shows no sign of willingness to come to an agreement in spite of her hopeless military situation, I have decided to prepare and if necessary carry out an amphibious operation against England. 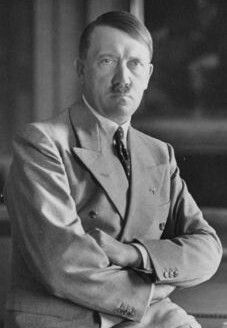 The plan, code named Unternehmen Seelöwe ("Operation Sealion"), was submitted by the OKW (Oberkommando der Wehrmacht or "High Command of the Armed Forces") and was scheduled to take place in mid-September 1940. Seelöwe called for landings on the south coast of Great Britain, backed by an airborne assault. 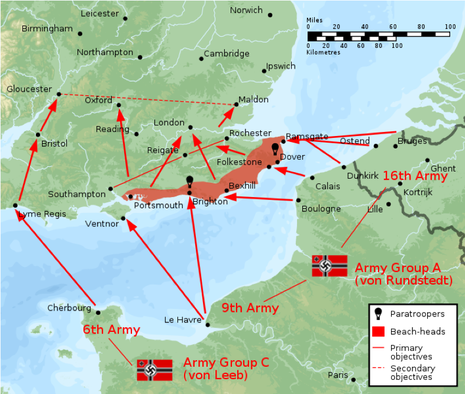 Neither Hitler nor OKW believed it would be possible to carry out a successful amphibious assault on Britain until the RAF had been neutralised. Raeder believed that air superiority might make a successful landing possible although it would be a very risky operation and required "absolute mastery over the Channel by our air forces". 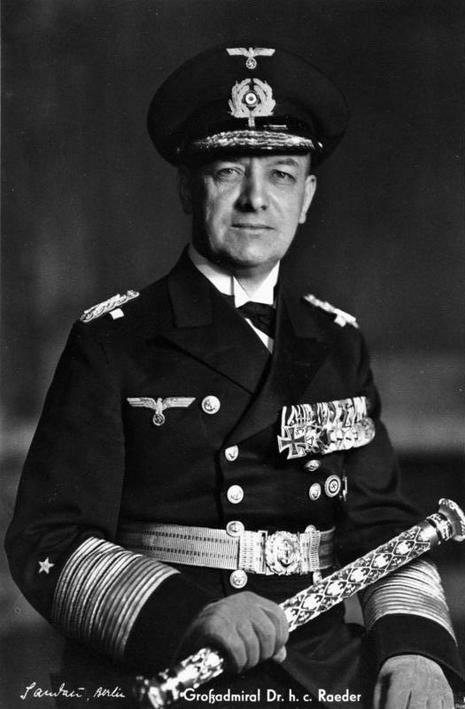 Conversely Grossadmiral Karl Dönitz believed air superiority was "not enough". Dönitz stated, "we possessed neither control of the air or the sea; nor were we in any position to gain it". Some historians, such as Derek Robinson, have agreed with Dönitz. Robinson argues that the massive superiority of the Royal Navy over the Kriegsmarine would have made Sealion a disaster and the Luftwaffe would have been unable to prevent decisive intervention by British cruisers and destroyers, even with air superiority.